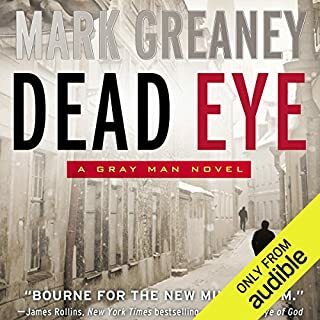 Mark Greaney is one of the very best. Court Gentry is a complex and riveting protagonist in his Gray Man series of which this is the most recent. I was totally engrossed as I have been with each of the prior works. Jay Snyder does a masterful job of bringing Gentry to life with his talented narration. I love listening to his voice. Highly recommended for the realism, technical perfection, and suspense. A wild ride you really don't want to end. 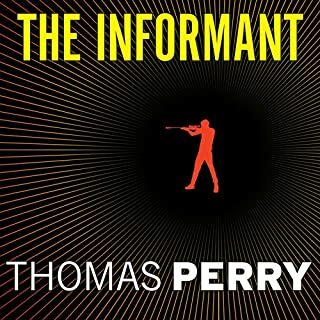 This is the book you've been looking for: a deep, dark conspiracy that should delight those who loved the Jason Bourne movies, as well as fans of authors Vince Flynn, Tom Clancy, and Stephen Hunter. You won't believe what happens when free speech slams into the messy realities of national security. Meet Nick Woods, a former Marine Scout Sniper, who used to be one of our country's greatest operatives. Meet Allen Green, a ballsy reporter in his fifties, who's desperate to break the biggest story since Watergate. Thin plot, strains crediblity to the max. A not very good fantasy trying to be a thriller. Only reason I kept listening is Jay Snyder's narration is good, as always. Edge of Seat Thrill Ride, WOW!!!!! 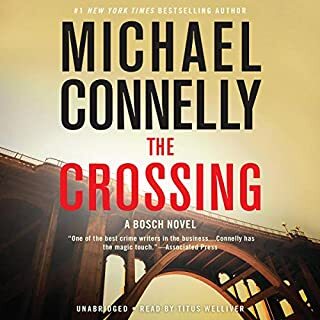 Michael Connelly is quite simply at the very top of his formidable form in this latest starring Harry Bosch. The only downside for me was that I finished it in record time (a day). Never happened before. Titus Welliver did a masterful job at narration and seemed to get better as he went along. Just fantastic, superlatives escape me. I hated for this book to end. Fabulous story that got better by the chapter. Very engaging character in Sebastian Ruud. Hope to see more of him. 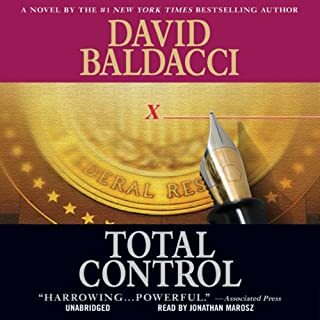 Fantastic narrator. 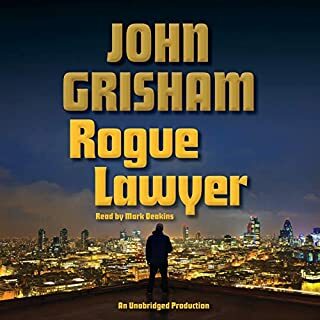 John Grisham hit it out of the park. 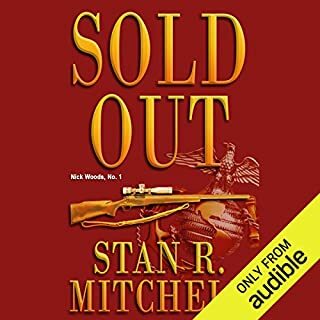 When the 102-year-old inventor of an amazing new hunting product is murdered, the clues point toward the Endicotts, a controversial reality-show family. Did one of the members do something desperate to claim the invention as their own and boost their waning popularity? Blanco County game warden John Marlin intends to find out, if he can prevent his best friend from having a deadly run-in with the prime suspect. 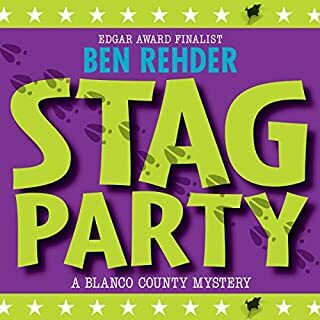 Stag Party is the eighth novel in Ben Rehder's hilarious Blanco County mystery series. Thanks to Ben Rehder for continuing the Blanco Co mystery series. Hilarious and engaging. The narrator however ruined the story for me. He tries unsuccessfully for a Texas drawl and it is distracting and tedious and prevented me from getting beyond the 2nd chapter. If you like Ben Rehder, you might just want to read the ones narrated by Robert King Ross. 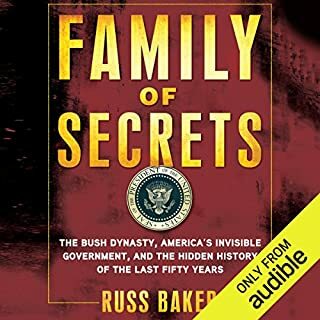 Russ Baker has done an impeccable job detailing the CIA connections of the senior Bush and his and George W's manipulation of government and the nation's resources into a private slush fund for the enrichment of themselves, their oil cronies, and the corporations who underwrite them. In the process, the American people are seen to be disenfranchised, robbed of their freedoms and fruits of their labors. This book is scary stuff and a public service. John Lago is a very bad guy. But he’s the very best at what he does. And what he does is infiltrate top-level companies and assassinate crooked executives while disguised as an intern. Interns are invisible. 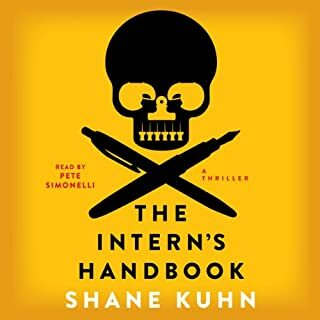 That’s the secret behind HR, Inc., the elite “placement agency” that doubles as a network of assassins for hire who take down high-profile targets that wouldn’t be able to remember an intern’s name if their lives depended on it. This definitely gets my highest rating. The author is exceptionally gifted and the story is gripping. Excellent narration. Would love to hear more from this great author and fabulous narrator. Wow! Can hardly wait for the next one! 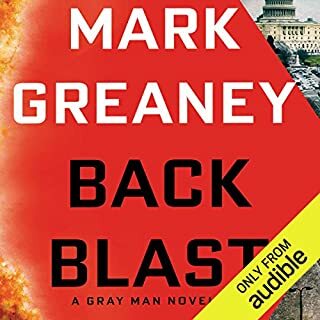 Mark Greaney has hit a home run. Court Gentry is about the most engaging and compelling character I have ever read and Greaney's vivid and non-verbose writing style is fantastic. I become very emotionally involved in these stories which is a tribute to the skill of the author and the great delivery of the narrator. Just great stuff, informative, well researched and definitely edge-of-seat fare. The Butcher's Boy series of Thomas Perry is my favorite of all time. I also have to say that Michael Kramer is my favorite narrator. In fact, he and Johnathan Davis are the only narrators I ever search for just to listen to their performances. I recommend the Butcher's Boy series is best enjoyed in order, but you can pick them up in any sequence and pick up seamlessly. I am now listening to this wonderful suspense thriller for the second time and enjoying it just as much as the first. Thank you Mr Perry and Mr Kramer. You make a great team. Sidney Archer has the world. A husband she loves. A job at which she excels, and a cherished young daughter. Then, as a plane plummets into the Virginia countryside, everything changes. And suddenly there is no one whom Sidney Archer can trust. The two main characters are respectively sappy and stupid and must be so in order to carry this extremely weak storyline. By the time I reached the closing chapters, I was unable to even finish the book as my credulity was finally strained to the breaking point. The narrator was good. Too bad he really did not have enough substance to work with.